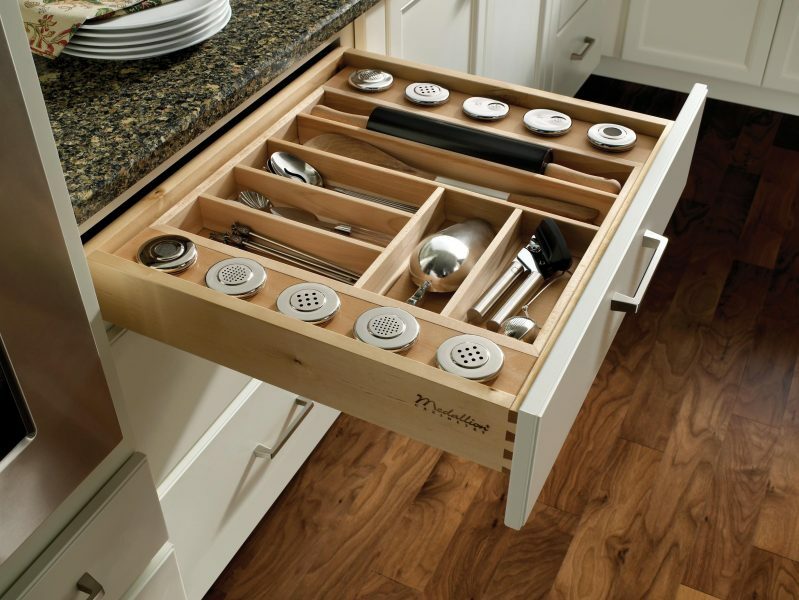 Drawer organizer inserts keep cutlery, spices and other items accessible and within reach. Constructed of maple in natural finish; features adjustable dividers. Organizer tray inserts are 2″ high and 16 1/4″ deep.